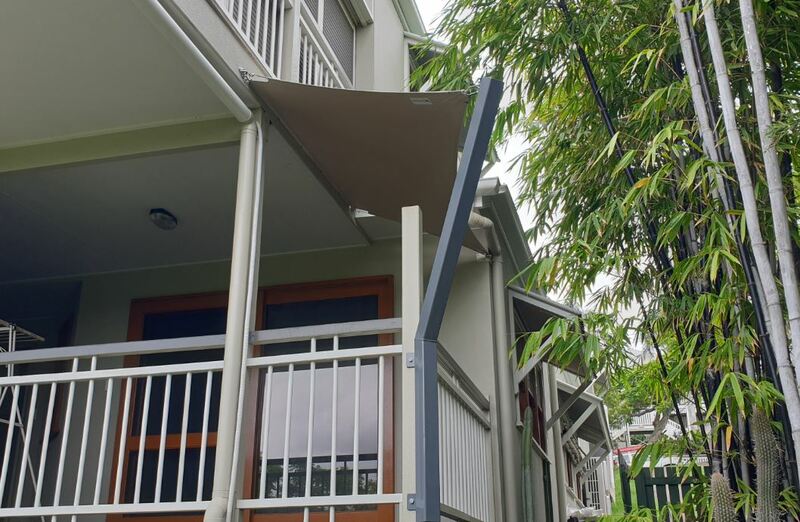 Designed to compliment the existing homes’ character, neutral, matching colours were selected for the steel posts and waterproof shade sail. Our client Peter, ultimately chose our italian made fabric due to its highly protective properties, including it’s 10 year commercial warranty and high resistance to bad weather and UV Rays. This waterproof fabric, available in 40 colours, affords creative freedom and is particularly suitable for shade sails and fixed blinds. The high and low posts keep the sail tight while optimising water run-off into the garden. 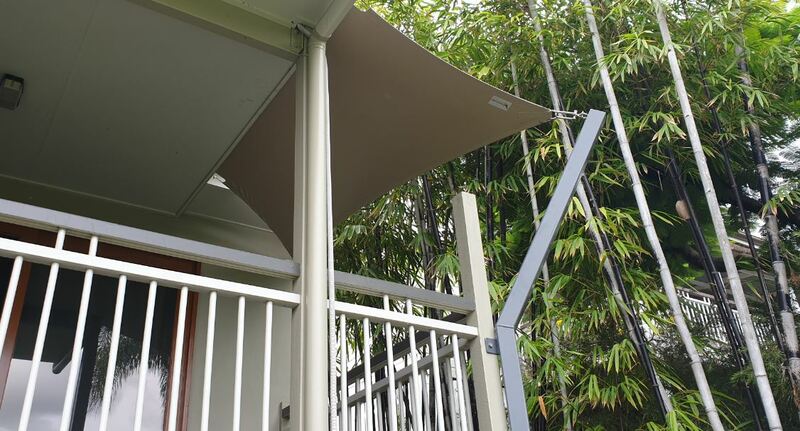 This waterproof shade sail was made with extra layers in the corners for reinforced strength with high frequency welded joins – guaranteed not to fray. Modiform shade construction control every aspect of production to ensure the highest quality products are made using state-of-the-art technology and materials.